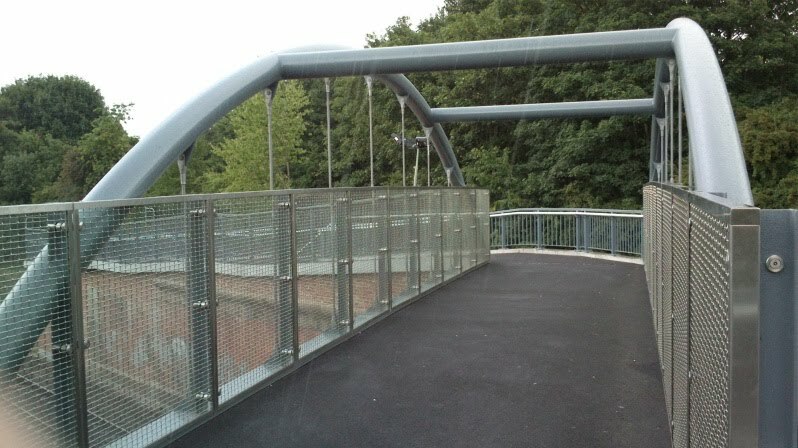 The new pedestrian route over the rail line at Trent Lane is finally open- and the Green Way footpath has reopened over the new bridge. It's a fairly major bit of engineering work which allows the short level pedestrian crossing to close- for safety reasons. 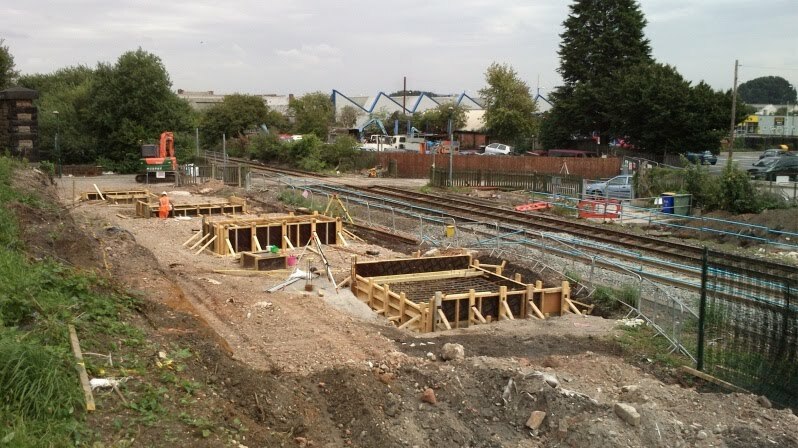 Meanwhile the old signal box has been removed (and the level crossing closed) at Meadow Lane where a second pedestrian bridge is to be installed.